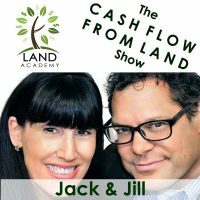 Jill DeWit: Welcome to the Cash Flow from Lynn Show. 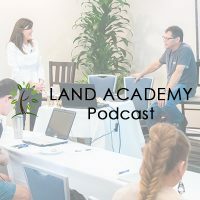 In this episode, Steve and I talk about the maximum price per acre we will pay for any property. It’s a mix. It’s different from other land investors. Normally, Steven is the host. For a few episodes, I get to be the host. Get to interview him. Jack Butala: I love this too, by the way. Jill DeWit: Thank you very much. Welcome Steve. Thanks for being here. Jill DeWit: This is a very interesting concept to, not only me, but a majority of our listeners, I should say. When I join the team, I … It’s interesting for anyone to … What you think something’s worth, and what’s it’s really worth, are two different things. Then you have to understand what makes a property different. Why aren’t all the properties in … Not even just within the State, but within the County. I learned about attributes. All the things that you looked for. Please explain more for us. Jack Butala: Yeah, this topic is one that shocks most people the first time that they hear about it. It shocks season to real estate investors. Everything from season investors to the absolute newest person ever. Newest person in the business. With the maximum price that we’ll pay, with a very few exceptions, is $100 an acre. 10 acres is $1,000. 15 acres is $1500. 40 acre property is $4,000. When we get the real large property in, like 300 or 400 or 500 acres, we even pay less than that. $100 an acre is always been a gauge. We gauge depending on the seller. That’s where we try to be less in that, quite honestly. Over the years, I’ve developed a few examples or analogies to answer this question. After they’ve picked their job off of their desk. They find out that we only pay $4,000 for 40 acre property, I’ve to explain it to them. Try to soften it a little bit by saying this, or something like this, “You’ve a few choices. If you’re going to get in your car and go buy some milk. You have a few choices. You can buy it at Walmart, which is the cheapest place. You can buy it at convenience store, which is the most expensive place, but it’s convenient. In between is a supermarket. I described that at times to our seller. I can have a check to you, seller, for 4,000 bucks for your 40 acres property by Thursday, like a person showing up by the door with a cashier’s check for your signature. That’s the convenience store model. You can wait 6 months. Hire a realtor. Go through all the stuff. They may or may not sell. For a lot of people, that’s not big deal. Then maximum price that way. For our customers, and we identify these people, before we send them a letter. To see if they want to actually sell their property. We identify them as people that are probably ready to do that anyway. For a lot of reasons. We cover that in our programs. That’s the maximum price that we sell for property. I’ve got several other examples. Our members and our students use these examples, because they come across these situations too. Jill DeWit: It makes sense. Jack Butala: It’s not as shocking as it sounds, I guess, in my point. That’s how people can get about land. I was going to retire there. I’m not going to retire there anymore. These bills, I hate getting these tax bills. They are happy to give it up. Jack Butala: You know, there’s certain types of people too. They believe that you get what you pay for, and that’s it. I always use the contractor example with that. In contracting … If you’re building a house or an office building, you get what you pay for. I don’t think that there’s materials that you can buy for 90% off to build a house or an office building. You don’t want to be using materials that are 90% off. If you’re remodeling your kitchen. 90% off is not something you should be shooting for. Maybe 12% off on a sale or something, but that’s it. That just doesn’t apply to what we’re doing here. What we’re doing here is, we’re buying something that is already unwanted. It’s used. Anything that’s a yard sale piece. I use … There’s another one I used to use a long time ago. With a really cool car that hasn’t been running for a lot of years. It’s just in the middle of everything in your garage. You’ve got to walk around it every day. You’re ready to let that go too, because it’s now … Not only are you uninterested in maximizing price. It’s inconvenient. It’s inconvenient to get these tax bills every year. The property tax bills that the owners get. We’re getting them out of a situation. Jill DeWit: Exactly. That’s really just … For me, that’s just explaining how we can … who these people are. How we can realistically justify that purchase price. Are there exceptions? Jack Butala: Yes, but I don’t know how to spell them. Jill DeWit: You stubborn … Oh, that’s so true. Boy. Steven. Okay. Jack Butala: When we assess a property, we use what I call the 4 A’s I came up with a lot of years ago. The more of the 4 A’s, and the higher they’re [extreme 00:06:09] what they are. The lower the extreme, depending on what they are. The better the property is sold. Jill DeWit: What are they? Jill DeWit: You almost forgot. Jack Butala: If it’s cheaper it’s better. It’s cheaper and it’s better. Where’s the fourth one? Jack Butala: Oh access. Yeah, access is a big issue in our business. It’s a topic for a different discussion. It’s got to have access. Jill DeWit: Okay. Wait. Acreage. Affordability. Attribute. Access. I just want to make that really clear for everybody. That’s it. If you’ve got all 4 A’s. Yeah, buy it. Jack Butala: Sell it too. Jill DeWit: That’s right. If you have 3 of them, all right. It still might be okay, depending on it. You’ve got 1 or 2, you’re going to worry a little bit. Jack Butala: There’s your question. Are there exceptions here? 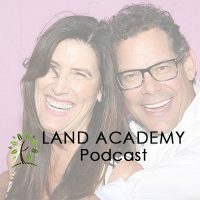 There’s another podcast that we do, where we talk about the property we’ll never buy. No matter how much it is or how cheap it is. Leave that till later. Why would we pay more. It’s what you’re asking. We would pay more for, what I call, vacation lot or destination lots. Which just fly off our shelf. I’ll give you an example. We can not keep an inventory properties in Northern Michigan. We don’t even look at them on an acreage basis. We just look at them on a … Where they are. I grew up in Michigan. I know it really well. Very often, we get extremely inexpensive properties coming in, in Norther Michigan. We sell them on terms to people in Chicago or Detroit or any of those lower citizens who love to vacation there. I gauge those a little bit different. That’s an exception. I throw that $100 an acre rule completely, when you look at that. We spend 5 or 6 or 7 grand on a property that’s like a destination vacation property. We know we can sell it for $30,000 or $500 a month forever. Jill DeWit: I just did that in Norther Arizona, in Coconino County. That’s a good example for us here. Jack Butala: I saw those picture. Jill DeWit: Yeah, I paid more than $100 an acre. It was gorgeous in a subdivision. Had beautiful access. There were trees. It was a full … There were both 2 parcels of 4 acre. You can pull up a cabin on that, or whatever you want. It was just really nice. Jack Butala: It’s next to the [inaudible 00:08:41]. There’s going to be a better one. Jill DeWit: There’s isn’t another show. That’s another show too. That’s good. Jack Butala: That’s the exception. Another exception that we do is really large … I’ve been working on a 12,000 acre deal for a couple of years. We’re just about … The seller is … We’re pretty close on price, but not yet. We’ll get it done as Pete just needs to loosen up a little bit. I throw all the price for acre out or that situation. There small properties, large properties, and that one. You have to look at some other things versus that. It allows you in a lot of cases to pay more than $100 an acre. If you just looked at the whole deals at a $100 an acre, all the quarter acre properties in there, would be $25. That’s crazy. Jill DeWit: Right. I concur. I’ve got one … A Southerner is the only one that sounds like what you’re talking about. It’s interesting … Some of it is next to some Native American. There’s a lot of land in this area, that you can’t own. It’s reservation land. It’s next to it. It’s gorgeous. It’s big. It’s probably worth more than 100 acres. I get that. 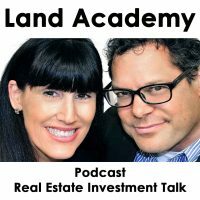 Jack Butala: Do you know that 12% of the property in Arizona is purchasable and sell-able? It’s called private land. The rest is reservation. BLM, Bureau of Land Management for non government and State government and some other designations. We’re only … Can buy 12%. Jill DeWit: Isn’t that amazing? There’s plenty of land here. Jack Butala: There’s nothing but deals. Jill DeWit: I know. Did you know that what McDonald says, “You’re doing breakfast whole day. It’s not the full breakfast.” I just found that out. It is hash browns and English muffin. Jack Butala: No Jill, I didn’t know that. Furthermore, you don’t strike me as the kind of person that goes to McDonald’s very often. Jack Butala: You know, we should do maybe like … We should come up with some really, really stupid points of trivia like this. Like current event based points have done this. In every point in our show. Every once or twice in our show. Jack Butala: I was laughing so hard. What is it? I just heard McDonald’s and I started laughing. Jill DeWit: McDonald says, “They’re doing all day breakfast. No they’re not. It’s 2 items. You can get hash browns all day, and English muffins all day. It’s not the full breakfast.” Anyway, if anyone thinks it’s … Sorry, if I just ruined it for somebody that was about to go McDonald’s to get flap jacks at noon. Not going to happen. Jill DeWit: Anyway, sorry, that wasn’t on my. Okay. We covered it. The maximum price we’ll pay for any property. We talked about the rule of thump. We talked about how we’re going to get there. That was in another podcast. Then, what the exceptions are. Cool. Here’s another thing. Do you ever make these logo offers on properties that are .. I don’t know. In down town areas? Jill DeWit: Ah. That saves a lot of hustle. Jack Butala: That would … We teach this again on all of our programs. No. If you sent letters out. The exact example using in the program is, “If you sent a bunch of letter out for property in Manhattan or, let’s say, in downtown Los Angeles, for $500 a year rate, or $1,000 or $1500, they would come and find you and threaten you. All you’re doing is causing problems for yourself. No, you have to pre-identify a market, which is a topic of another podcast. How you choose the market to do this in or choose a county. No, to answer your question. It’s a big fat N-O. Jill DeWit: Got it. Lets’ just end with this. I just saw … Haven’t you seen that email I mentioned the other day about … I have to dig it up. That someone who’s really advertising a house with a tenant for $6,000 in Detroit. Jack Butala: Yeah, here’s the thing. This is so off topic. I will spend anything but 30 seconds on this. These inner city markets in the Roosevelt. The prices are extremely cheap. It’s incredibly … It hooks me in, because the business that we’re in. You want to be really careful of some of the excellent cost that go on for transacting. In Detroit’s got to transfer fee. Transfer tax. The way that they handle their taxes, property taxes, is very different than what we’re all used to. A $6,000 house will end up costing you much, much, much more to purchase than $6,000. I’ve seen it for $500. I’ve seen it private buildings for 15 grand. I know that somebody’s niche. I’m on a first name basis with the company people who buy properties like that, and rent them out. In both cases, they live on the same street. They’re micromanaging the tenants. The whole thing. Usually like the brother in law and stuff. It’s a micromanaging situation. Jill DeWit: 2 things. One, we have a … We did a podcast with 2 [inaudible 00:14:38]. That they live in Michigan. Jill DeWit: Yeah, Seth Williams is one of them. I can’t remember what the other guy’s name. Really nice guy. They’re both in a suburb. Seth didn’t [inaudible 00:14:48] but this guy is in a suburb of Detroit. Remember that guy? Jack Butala: Yeah, he’s a traffic controller.